After splitting the first two games of the series on the road in Everett, the Winterhawks return to Portland with a chance to take a 2-1 series lead tonight. The Hawks are 2-2 this postseason on home-ice, with their last victory being in Game 7 against the Spokane Chiefs in the first round. PREVIOUS GAME: After Portland had a big win in Game 1, it was the Silvertips turn to have a strong effort in Game 2, coming away with a 6-0 victory over Portland on Saturday. The Silvertips got on the board first just 1:02 into the first period on a tipped goal by Sean Richards. Everett then went up 2-0 on a nice-rush from Patrick Bajkov who slid his fifth goal of the playoffs past Cole Kehler. The score remained that way until the second, when Everett got on the board just over three minutes in on a Martin Fasko-Rudas rebound goal. The Silvertips then made it 4-0 on the powerplay, when Bajkov fired home his second of the game at the 15:09 mark of the second frame. Late in the period, Everett made it 5-0 on a goal from Garrett Pilon. In the third, Patrick Bajkov registered his third goal of the night on a powerplay to make a 6-0 final for Everett. With the win, Everett ties the best-of-seven second-round series at 1. TODAY’S OPPONENT: After allowing five goals in Game 1, Silvertips netminder Carter Hart shut the door on Portland in Game 2, recording 26 saves in a 6-0 shutout victory. Hart has had a few hiccups this postseason (three games he’s allowed three-or-more goals) but for the most part he’s been outstanding, recording two shutouts and has allowed just one goal twice. The Silvertips will hope to see the Carter Hart from Game 2, rather than the one that allowed five goals in Game 1. 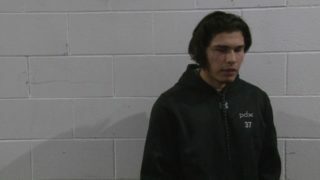 Patrick Bajkov entered this second-round series against Portland leading the Silvertips in points during the regular season against the Winterhawks. In 10 regular season games, Bajkov had five goals and 12 points, and has continued his strong play into the playoffs, with five points in the first two games. This will be just the third road game of the playoffs for Everett. In the first round against the Thunderbirds, Everett won both road games by a combined score of 10-4. During the regular season, the Silvertips went 3-2 in the Rose Quarter, but the Hawks won the last two meetings in Portland. 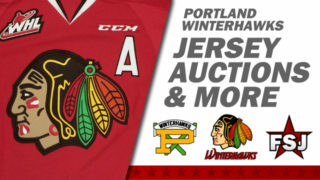 WINTERHAWKS TO KEEP AN EYE ON: Portland has had scoring from all four lines during the team’s first two games of the series. 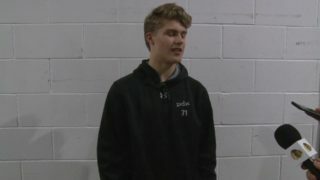 In Game 1, the Winterhawks scored two rebound goals in the first period and will look for similar “greasy” goals for the remainder of the series against goaltender Carter Hart. 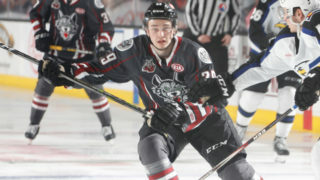 Kieffer Bellows had four goals in five home games versus Everett this regular season. Bellows has played the part of playmaker for most of this postseason. While he has scored four goals, his nine assists in nine games leads all Winterhawks. 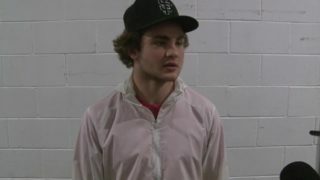 In the Hawks most recent home playoff contest, Game 7 against Spokane, the first line of Cody Glass, Skyler McKenzie and Bellows combined for seven points. Cole Kehler recorded back-to-back shutouts against Everett in the last two head-to-head matchups of the regular season, both of which were here in Portland. STAT OF THE DAY: Mason Mannek is tied for first among all rookies in the WHL in postseason goals with three. John Ludvig is first among rookies in penalty minutes and second in plus/minus, with a +6. 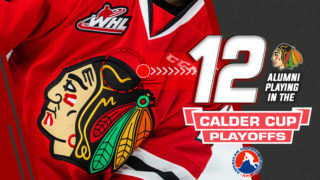 Game 4 of this second round best-of-seven series between the Winterhawks and Silvertips is Thursday, April 12th at the Moda Center. Grab your tickets HERE!